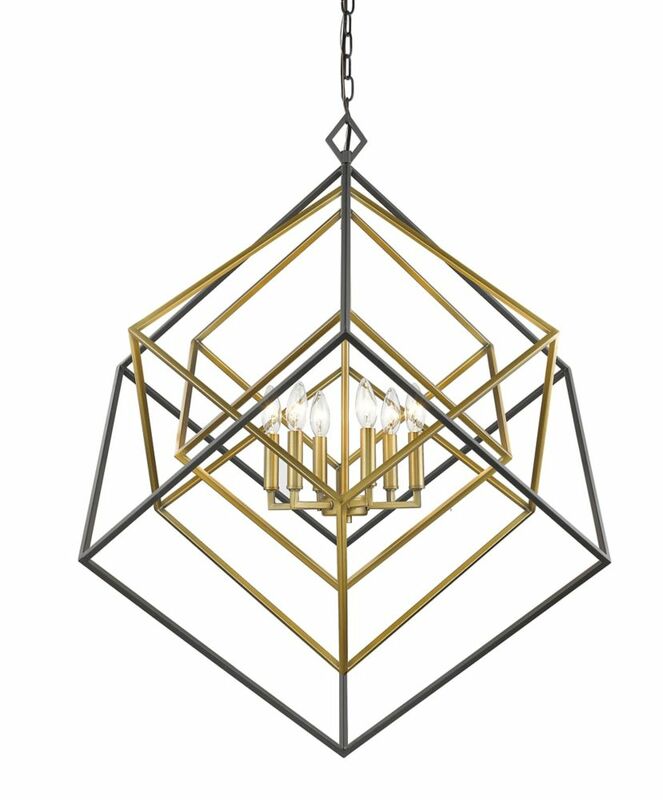 The Sansa Collection by Globe Electric has a rectangular geometric cage design to bring a mid-century modern element to your home while adding texture and style. This 6-Light Chandelier is simply gorgeous and with a dark bronze color perfectly accented by brass sockets, you can place this light anywhere you need a bold statement piece. Add a vintage Edison candle style bulb for a stunning vintage look or modernize the light with tube shape bulbs or small round shape bulbs. The options are endless! Traditional linear island light and elegant chandelier options are modernized with a summer linen shade. Available in Antique Bronze and Brushed Nickel finishes. The Antique Bronze fixtures include both bronze and natural brass candle cover options allowing homeowners to complement mixed metal styling within a room. Whether for a mountain cabin or an urban retreat, the rustic charm of the Looking Glass collection is an artful display for romantic vintage lighting. Inspired by a timber frame farmhouse, its frame features iron elements that support clear, seeded glass reflectors. Hints of brass accentuate the mechanical details to enhance a vintage feel. 6-Light Olde Brass and Bronze Chandelier - 35.5 inch This chandelier will update your home with its eye-catching design. Featuring an olde brass and bronze finish this fixture will accommodate a variety of dicor styles. With its easy installation and low upkeep requirements, this chandelier will not disappoint.